Meet TransCure bioServices at Biofit! Let’s have the opportuniy to speak about our services and your projects during this event. Academics, TTOs and research institutions, BioFIT is the place where academia-industry collaborations get started. 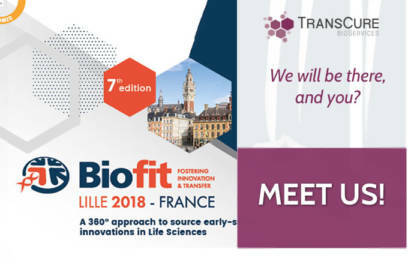 BioFIT is the meeting point in Europe for tech transfer and for sourcing early-stage innovations stemming from public research institutions, academic spin-offs and emerging biotech companies. Together with big pharma, biotech and diagnostics companies, BioFIT operates as a platform to build partnerships for all public and private actors. BioFIT is also the marketplace for pre-seed, seed and Series A investment in Life Sciences. TransCure bioService is a pre-clinical CRO dedicated to the evaluation of treatments for HIV, immuno-oncology, and inflammations diseases. Our team elaborates unique Research & Development (R&D) and fee-for-service platforms, called the Full Human Immune System Mouse Models (hu-mouse models). Therefore, customers access these full services (protocol design, data collection and analysis) in our BSL-2 and BSL-3 animal and laboratory facilities on a very attractive fee-for-service basis. Would you like to discuss about you?